Director Martin Scorsese had risen to prominence as a filmmaker primarily through his depiction of organized crime in the Italian American community in films like WHO’S THAT KNOCKING AT MY DOOR (1967) and MEAN STREETS (1973). Naturally, while he excelled at that sort of material, he didn’t want to be pigeonholed into only making those kinds of films. Even as his national profile soared, Scorsese vowed to never make another mafia/organized crime film again—he had already said his piece on the matter, and there was an endless assortment of new stories to tell. However, during the production of 1986’s THE COLOR OF MONEY, Scorsese came across a book by Nicholas Pileggi called “Wise Guys”, which detailed the criminal exploits of Mafioso-turned-FBI-Informant Henry Hill. Scorsese was fascinated by Pileggi’s authentic portrayal of life in the Mob from the perspective of the grunts on the street, and not as it was classically depicted and glorified in films like Francis Ford Coppola’s THE GODFATHER (1972). 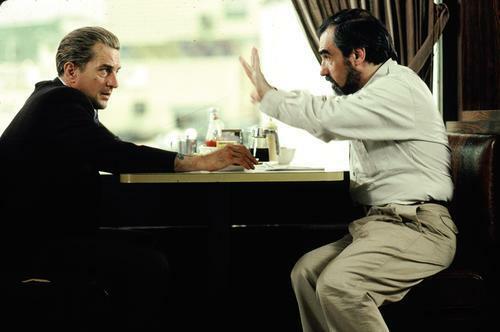 As a young boy growing up in the Little Italy section of Manhattan, Scorsese personally witnessed the good and the bad of the mobster lifestyle—an upbringing that made him especially suitable to bring Pileggi’s book to the screen. He enlisted Pileggi himself to collaborate on the screenplay, and reteamed with his regular producers Irwin Winkler and Barbara De Fina to set up the project with the biggest budget he had worked with to date (yet, still a modest one by mainstream Hollywood standards). Scorsese may have reneged on his vow to never make another crime film, but the move would pay off in spades—the finished work, released in 1990 under the title GOODFELLAS— would become a seminal masterwork in the director’s career, and cement his legacy as one of cinema’s greatest artists. GOODFELLAS tells the sprawling story of Henry Hill and his experience working for the Lucchese crime family in New York City and its surrounding suburbs from 1955-1980. Growing up as a half Irish, half Italian kid in Brooklyn, the young Hill finds himself fascinated by the lifestyle of the Italian gangsters that populate his neighborhood. He volunteers himself to do small odd jobs for them, and is eventually taken in under the wing of local capo Paul “Paulie” Cicero (Paul Sorvino), who teaches him how to exploit the system for quick, easy profit. As he grows into a young man, Henry finds himself in Paulie’s inner circle—amidst the likes of contemporaries like Jimmy Conway (Robert De Niro) and Tommy DeVito (Joe Pesci), who become his closest friends and partners in crime. They revel in the wealth that a life of crime affords them, building up homes and families of their very own. Not content having achieved the American Dream, however, they branch out into drugs and mistresses as if they were untouchable—a delusion that is coldly shattered when they kill Billy Batts (Frank Vincent), a made man from the rival Gambino crime family, in retribution for a petty slight. Fearing that they might get whacked by some vengeful Gambinos, they bury their secret along with Batts’ body in the country, and turn to farther-fetched grabs for money and power. Conway orchestrates and successfully pulls off one of the biggest scores in New York history—the infamous Lufthansa Heist, netting him and his friends a cool six million. Naturally, a quick influx of cash and a lifestyle suited towards the lavish spending of it doesn’t mix well when the authorities are watching your every move. As the weak links of his team begin to fray, Conway sets about silencing them permanently. Hill sees the writing on the wall, and decides to rat his former friends out to the FBI in exchange for his safety in the Witness Protection Program. GOODFELLAS marks Scorsese’s first collaboration with Robert De Niro in eight years—the two hadn’t worked together since 1983’s divisive production of THE KING OF COMEDY, so De Niro’s presence here is a welcome, and long overdue, one. De Niro excels as James Conway, an Irish guy in an Italian world. It’s a powerhouse performance, with Conway’s brutal and aggressive affectations perhaps driven by the frustration that no matter how close he gets to the Lucchese crime family, he will never be fully considered as one of their own. 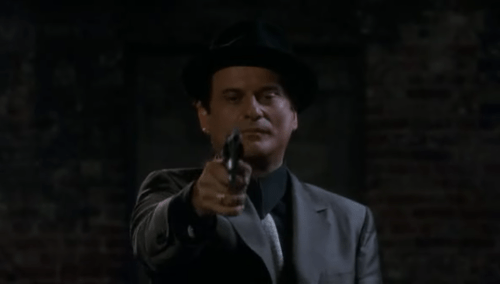 De Niro’s RAGING BULL co-star Joe Pesci also returns to Scorsese’s fold here as the explosively unpredictable Tommy DeVito, a small-time gangster with a nasty comic wit and an even nastier temper that would land Pesci the Oscar for Best Supporting Actor. GOODFELLAS’ real revelation, however, is Ray Liotta as central protagonist Henry Hill. Liotta was born to play this role, that of a charmingly cavalier and somewhat narcissistic gangster. The film proved to be quite the career breakout for Liotta, and while he may have yet to transcend his work here, he has nonetheless enriched the art of cinema with a series of notable performances that live up to his initial promise. 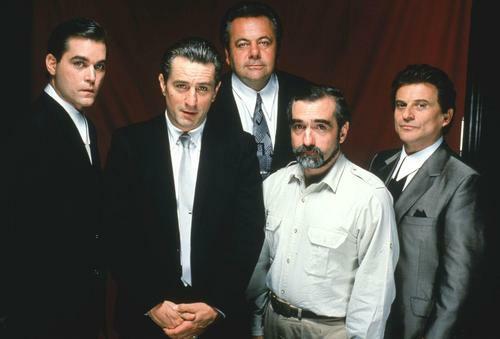 GOODFELLAS’ supporting cast may not match the star power of De Niro, or even Pesci, but its members more than hold their own in memorable performances. Lorraine Bracco, who already had a longtime connection to Scorsese as Harvey Keitel’s partner and mother of his child, plays Henry Hill’s wife, Karen. She’s the antithesis of the archetypical Scorsese Blonde—she’s feisty, hotheaded, and very, very Jewish. The film, like much of Scorsese’s other works, is a predominantly masculine affair, but Bracco’ willful, calculating performance sees her join in the proud tradition of headstrong, defiant Scorsese leading women. Paul Sorvino is perfectly cast as Henry’s father figure and revered criminal “Paulie” Cicero. He’s absolutely believable as a man who is at once both ferocious and gentle—a man who is not just respected, but feared. Frank Vincent, who previously appeared in Scorsese’s RAGING BULL alongside De Niro and Pesci, plays the pivotal role of Billy Batts, a wise-talking, disrespectful ball-breaker from a rival crime family who winds up on the wrong end of our protagonists’ wrath. Two years before his breakout in Quentin Tarantino’s PULP FICTION, Samuel L. Jackson shows up in the minor role of Stacks Edwards, a member of the Lufthansa Heist crew and the first casualty in Jimmy Conway’s campaign to tie up loose ends. Of course, GOODFELLAS wouldn’t be a true Scorsese film without an appearance by the director’s parents, and the film delivers rather memorably on that front. Mother Catherine appears in one of the best sequences of the film as Tommy DeVito’s doting mother, and father Charles shows up as a fellow inmate and cook in the spacious jail cell that Henry and Paulie occupy for several years. GOODFELLAS marks the emergence of Scorsese’s late-era visual style, which combines flashy camerawork with an exhilarating pace, punctuated by French New-Wave-inspired techniques like jump cuts, freeze frames, extended tracking shots, whip-pans, and wall-to-wall source music. The effect is very punk rock, and has served Scorsese considerably well from here to CASINO (1995), to THE DEPARTED (2006), and all the way to 2013’s THE WOLF OF WALL STREET. The vibrant energy of Scorsese’s visual style can be attributed to the strength of his collaborations with regular cinematographer Michael Ballhaus and editor Thelma Schoonmaker. The jumping off point for GOODFELLAS’ distinct presentation was Francois Truffaut’s seminal 1962 classic JULES AND JIM, which pioneered the dizzying mix of narration, quick cuts, freeze frame and location switches that GOODFELLAS concocts so effortlessly into an intoxicating Molotov cocktail. The pace literally screams by, compacting years into minutes and further compacting the sequences themselves into exponentially tighter running times. By Henry Hill’s last day as a wise guy in 1980 (in a sequence which serves as perhaps the most effective depiction of a cocaine high in cinema), we feel like so much has already happened– but the momentum keeps building, threatening to careen out of control and spin off into space. Scorsese and Schoonmaker charge into scenes like a gunshot—whip-panning, zooming, freeze framing, and “screaming in” with the mobility afforded by a Steadicam rig. Indeed, Scorsese makes excellent use of the Steadicam throughout GOODFELLAS, the most memorable instance of which is inarguably the extended tracking shot that follows Henry and Karen from the street outside the Copocabana club, through the back door and the twisting corridors, through the chaotic kitchen, and finally to their specially-reserved table right in front of the stage. In that one shot, the allure and excitement of Henry’s chosen profession becomes immediately apparent. Scorsese’s unique approach proves just as effective in its subtleties, such as the observation that he frames his close-ups in such a way that other characters’ performances are incorporated into the frame—further reinforcing the film’s themes of family and community, while conveying the intimate nature of their relationships. Scorsese also allows the characters to address the camera directly, inviting the audience into their world while implicating us in their crimes by association. One notable instance at the end of the film sees Henry Hill delivering his voiceover directly to camera, the first instance of a storytelling conceit that Scorsese would later explore in full in THE WOLF OF WALL STREET. Scorsese has been a key player in integrating rock and roll into the cinematic landscape, but GOODFELLAS goes above and beyond the concept of sourcing pre-existing records. The soundtrack is nearly wall-to-wall music, helping charge the narrative along while placing it in a proper cultural (and period-accurate) context. The mix Scorsese looks to is quite eclectic, ranging from big band performers like Bobby Darin and Tony Bennett, to jukebox mainstays like The Cadillacs and the Harptones, all the way to modern punk and rock. GOODFELLAS makes especially potent use of The Rolling Stones’ iconic track “Gimme Shelter”, an anthem Scorsese would incorporate into several later works. Simply put, GOODFELLAS is a sterling example of what constitutes “a Scorsese movie”. In addition to hitting all the requisite thematic beats, it is perhaps the best example of the classical Scorsese narrative archetype: the rise and fall of a member of a disenfranchised white minority (usually Italian or Irish) as they pursue the American Dream. The aforementioned requisite thematic beats place GOODFELLAS squarely within Scorsese’s domain: examinations of Italian American immigrant culture, thugs and hoods as the protagonists, and explosively disorganized violence. He builds on his past use of internal voiceover—most effectively in MEAN STREETS and TAXI DRIVER (1976)—by incorporating multiple points of view that show us characters and plot points from a different perspective (mostly Karen Hill’s). Scorsese’s thorough knowledge of and affection for the history of cinema comes through in an unexpected, inspired moment at the film’s closing. 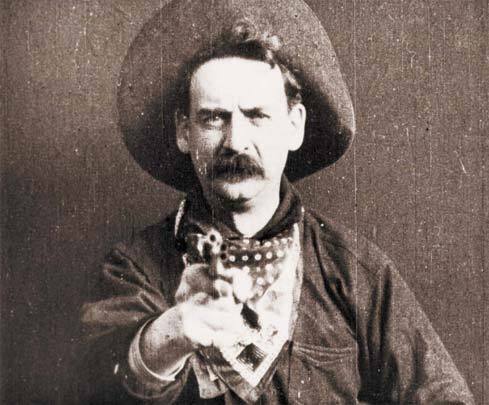 Knowing that the general story beats of GOODFELLAS followed that of the classic silent film THE GREAT TRAIN ROBBERY (1903), Scorsese decided to pay homage by emulating the latter’s final shot of a cowboy shooting directly at the camera, modernizing it with the image of Pesci in full gangster regalia doing the same. In doing so, Scorsese manages to pay respect to the cinematic pioneers that had preceded him, even while furiously blazing new artistic trails all his own. Any bit of behind the scenes footage or interviews one could watch for GOODFELLAS shows a cast and crew well aware of the fact that they were making an extremely special, once-in-a-lifetime film. Their collective hunch was validated whenGOODFELLAS premiered at the 1990 Venice Film Festival and Scorsese took home the Silver Lion for Best Director. Big box office receipts and heaps of critical praise would greet the film when it was widely released, along with six nominations from the Academy Awards, including Best Picture and Director (Scorsese’s loss in the Director category is, to this day, still seen as an outrage). This immediate success wouldn’t just be a flash in the pan; GOODFELLAS has seen remarkable staying power in the years since its release. Its influence is immediately apparent in Paul Thomas Anderson’s BOOGIE NIGHTS(1997), or anything Quentin Tarantino made in the 90’s. It went on to directly inspire David Chase’s THE SOPRANOS, which would itself serve as a watershed moment in the television medium– the full effects of which are still unfolding today. The film would also be inducted into the National Film Registry for preservation by the Library of Congress in 2000, its very first year of eligibility. Many film buffs have come to see GOODFELLAS as the apex of Scorsese’s talent, with the more cynical among them seeing his eventual Oscar win for THE DEPARTED as an apology for the Academy’s oversight here. GOODFELLAS is consistently ranked among the very top of the best crime and gangster films of all time, locked in a constant duel with Coppola’s THE GODFATHER (or its sequel). For Scorsese himself, the film’s widespread success would mean a return to directorial glory and the beginning of a new, prestigious act in his career—one in which he would work as a world-recognized master of the medium and the preeminent cinematic chronicler of the American experience. GOODFELLAS is currently available on high definition Blu Ray via Warner Brothers.